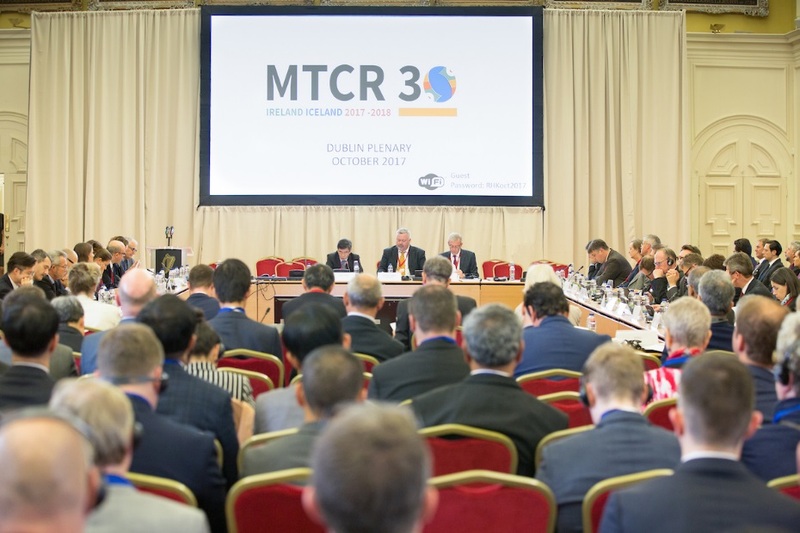 Last month (October 2017) more than 250 experts from 35 countries met at the Royal Hospital Kilmainham in Dublin for the 31st Plenary Meeting of the Missile Technology Control Regime (MTCR). 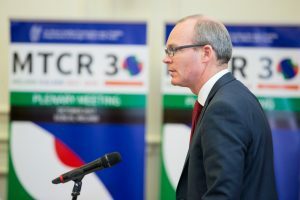 The Plenary marked the beginning of Ireland and Iceland’s Co-Chairmanship of the regime, which will last until the next Plenary meeting scheduled for 2018. Five days of planned meetings were condensed into four days when severe storm conditions across Ireland on Monday October 16th meant that the first day of meetings had to be cancelled. However, thanks to the flexibility and diligence of the chairpersons of the meetings, and the participants themselves, the shortened MTCR Plenary week remained a productive forum for discussion on a wide range of issues related to missile proliferation. On Tuesday and Wednesday, technical expert groups met to exchange information on proliferation trends and procurement strategies used by proliferators, technology trends in missile programmes and efforts to exploit export controls. On Wednesday afternoon (October 18th), the Minister for Foreign Affairs and Trade, Simon Coveney T.D formally opened the 31st Plenary Meeting of the Missile Technology Control Regime (MTCR) alongside the Icelandic Permanent Secretary of State, Mr Sturla Sigurjónsson. 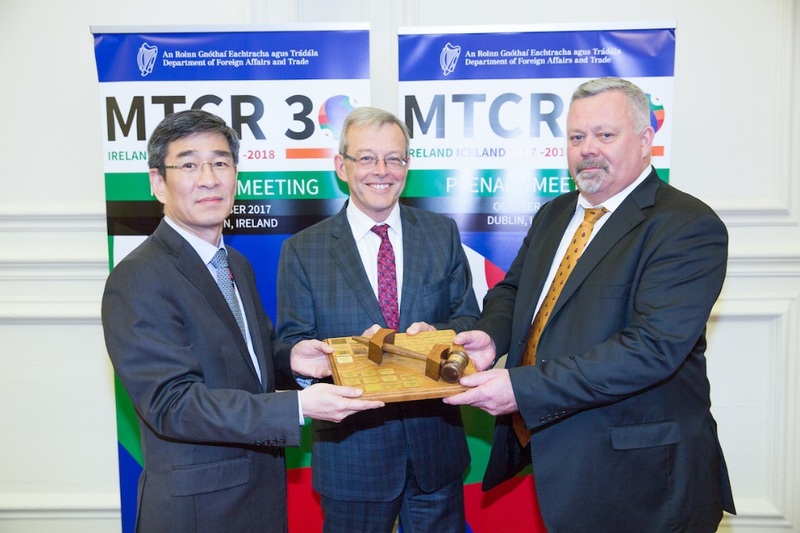 Mr Sigurjonsson, in his remarks, highlighted the need for the MTCR to remain relevant in the face of a rapidly changing security environment, and fast-paced technological advancements. Following these statements, the Outgoing Chair of the Regime, Director General Ham Sang-wook handed over the gavel to the Incoming Co-Chairs – Ambassador Breifne O’Reilly from the Department of Foreign Affairs and Trade in Ireland and Minister Counsellor Bjarni Vestmann from the Ministry of Foreign Affairs of Iceland. Over the course of the Plenary meeting delegations discussed a variety of issues including the challenges posed by Intangible Technology Transfer, Unmanned Aerial Vehicles and Regional Proliferation. 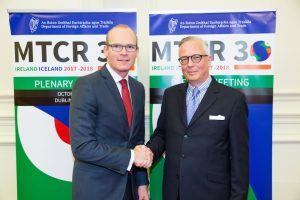 On Friday afternoon, all 35 MTCR Partners agreed a joint Public Statement by consensus, the full text of which can be found here. The Statement reiterates the regime’s commitment to limit the risks of missile proliferation by controlling international transfers than can contribute to delivery systems that can be used for Weapons of Mass Destruction.